In spite of some controversy, blogs are still one of the top ways to build brand recognition, SEO, and Know, Like, and Trust among a target audience. 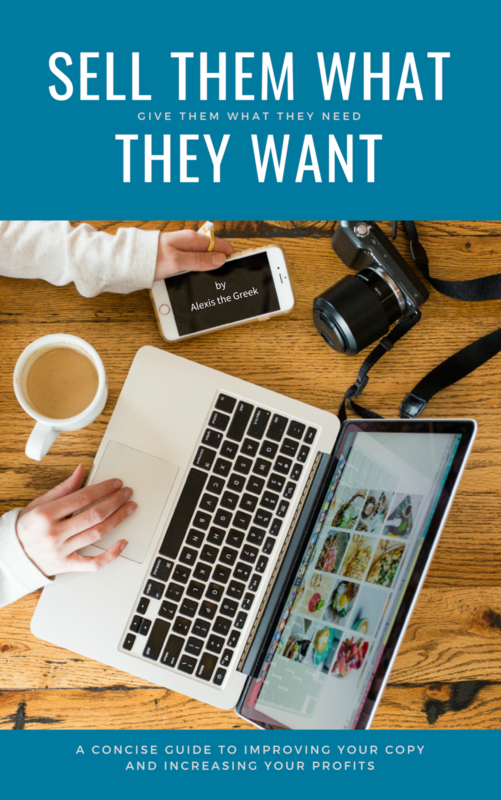 The key to a successful blog actually isn’t how many different things you can find to talk about, but how narrow your focus is on just a small list of topics you cover to serve a particular audience with particular needs. Many businesses use their blogs only to post about “company notables” that are self-involved—press coverage on the company, charitable contributions the company has made, awards the company has received, and events the company has hosted or participated in by attendance. These types of posts usually don’t do anything for the company. Ideally, a blog that has a purposeful role in your business should serve others first and foremost. It should serve not only the group of people your company wants to work with, but those it’s working with now, and those with whom it has done business in the past. This means that what you cover on your blog should have a very narrow focus. Any topics you write about should be directly tied your revenue streams (even if you’re not screaming, “Buy from me! Buy from me! Buy from me!”). You want to pre-create the experience of what it will be like to work with you, enhance the experience when people with you, and give those who have worked with you a reason to remember it fondly. In some way, your business already exists to serve a particular group pf people. It provides a service that relieves a pain shared among a particular group of people, or produces a product that solves a problem that is common among a particular group of people. It offers a experience that makes a particular kind of customer feel relaxation or pleasure; or it manufacturers an item that makes a particular kind of consumer happy. The Holistically Inspired blog is a great example of providing value before, during, and after services are rendered. The educational posts stand all on their own, but also enhance patients’ time in the practitioner’s office, as well as help them improve their health after their treatments are complete. Your blog ought to be a new facet of this same purpose. Whatever experience you want new customers to know you offer, existing customers to have fully, or previous customers never to forget, your blog can help in your mission. The topics you cover should let new people in your target demographic know that you see them and validate their pain or desire. For instance, if you’re a life coach and you know your target clientele tend to feel under-appreciated and overworked in their careers, writing a post on how to find work that yields both respect and joy could be a highly effective post for you to gain new readers, subscribers, and potential clients. Your topics should also enhance the experience current customers or clients get when working with you. This is because you can’t be with all your clients or customers 24/7, but you want them to feel like you are when they need you most. For instance, if you’re a wedding photographer, it can be a useful tool to have a post featured on your blog where clients can refer to all the potential shots they might want on their big day, so that they can mentally prepare to set aside time for every shot they want. Not to mention once you’ve created it, if a client asks for a shot list to pick from, all you need do is send her the link. Lastly, your topics should continue to serve clients or customers after their initial transaction is over. Repeat business is how most businesses remain sustainable. Even when they don’t run this way, it can be important for the company to send the message that “the door is always open,” so that the customer or client doesn’t feel reduced to the amount in the transaction. A way to do this might be, for instance, to have a featured post on your blog to the theme of “What now?” If you’re a karate master, and a group of students achieve black belt status, a post that encourages them to remain disciplined and vigilant can be as impactful as any posts you wrote to get those students where they are today. Every example I’ve used so far has had to do with service-based businesses. So what if your business is a product-based business? Product-based businesses have the opportunity in blogging to communicate how well they truly do understand the people who shop with them. Blogs are great for product-based businesses! Product-based businesses by nature are usually particularly targeted in whom they serve, which means they have the opportunity through blogging to communicate how well they truly do understand those who shop with them. What I mean is, many different people types might visit a service-based business like a chiropractor’s office—a high schooler with scoliosis is as likely to visit as a middle-aged carpenter whose body has simply been through the wash too many times. People of different sexes, levels of education, degrees of fit-ness, places of origin, worldview, and more can visit a chiropractor’s office and all want the same thing. But product-based businesses, like Anthropologie or your local letterpress shop, are much more targeted. Only women between specific age brackets, with specific ideas about money, who are drawn to a particular aesthetic and have similar life goals are going to shop at places like these. Ask yourself: What part of the puzzle is my product? What is its place on the bigger canvas? Use your blog as the place to show your target consumers what the completed puzzle looks like—the bigger picture—and what an important detail your product is in that context. Thus, writing posts is made much easier, because you know exactly whom you’re speaking to. The people who shop with your business for home decor items are also likely to shop in similar places to one another when it comes to groceries, baby items, gifts, workout clothing or equipment, shoes, and more. Leverage that! And all of these models can be used and re-used to promote not only your business’s products, but products by other companies that serve the same community—which, with proper social media positioning, can also create shareability, which means free advertising for you! (1) Will this topic show new visitors to my blog that I am an expert in this area who can get them results fast? (2) Will my existing clients or students find that this information enhances the service they’re paying for? (3) Will clients who have worked with me in the past read this and know how to take what we created together even further? If the answer to 2 or more of these questions is “yes,” then I have a good topic for my blog. When you consider topics for your blog, use the screening test I provided above, and conform it to your business model. This is a common question among new business owners, business owners who have been doing the same thing for 25-30 years, and business owners who are struggling financially. If you don’t have enough value to offer that you can give some of it away for free, it’s possible you want to rethink whether the business you have is the right one. If you are a true expert in your field, then there ought to be plenty of information and value you can over for free that simply provides a “taste test” of how much you care about your customers and pay attention to the small things. If you don’t have enough value to offer that you can give some of it away for free, it’s possible you want to rethink whether the business you have is the right one. Marketing in 2019 is very different from what it was in the 1950s. Today, so many brands and businesses are demanding our attention and money that it’s the ones who behave like a friend first and a business second that tend to gain the trust of new customers the fastest. And in the race for revenue, those who gain trust are the ones who make money. Use your blog to generate that trust, and every post will be worth your while! Was this helpful? If it was, make sure to pin it so you never lose it! Then drop me a comment below and tell me in one sentence how this post changed the way you think about blogging. I can’t wait to read your thoughts! I’d love to help you with it.